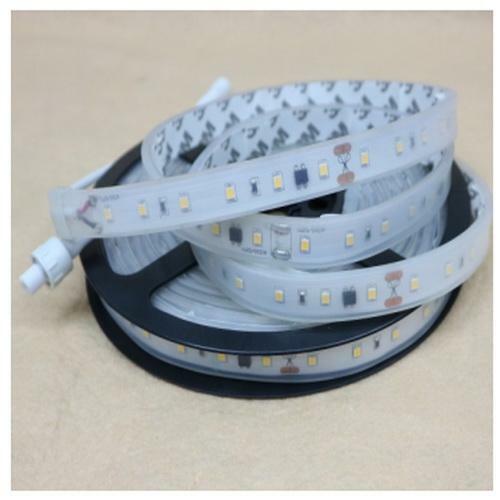 CONNECT UP TO 100ft- The strip light can be cut per 6 LEDs (4inch) from the cuttable mark, and this strip light can be connected up to 100ft (30 meters) in series, not like old strip light that can only connect 5 meter in a line. 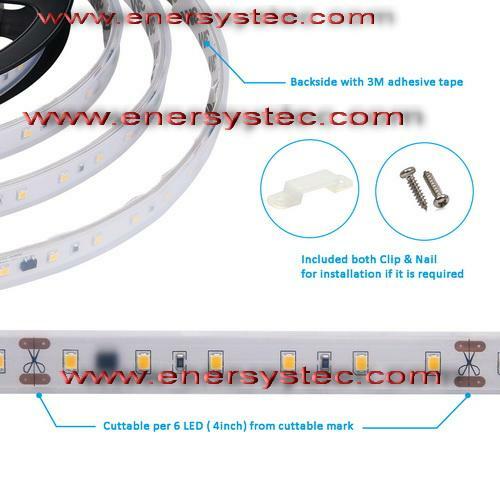 EASY INSTALLATION- Backside of the flexible strip light with 3M Tape, and the packing list included clip and nail, the light can be install anywhere by the clip. > Outline Dimension: L5000*W14*T4mm ( Per Roll). 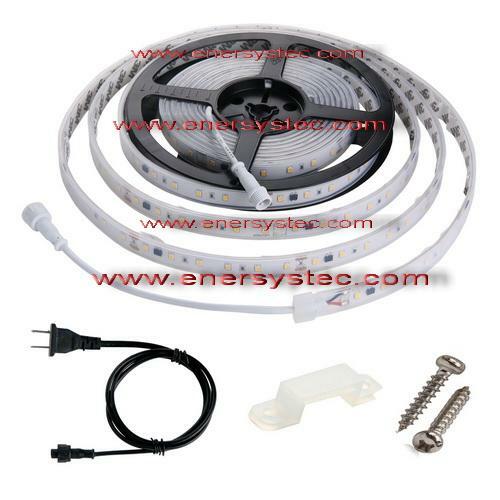 > RoHS compliant, without lead / mercury. No UV, No IR Radiation. 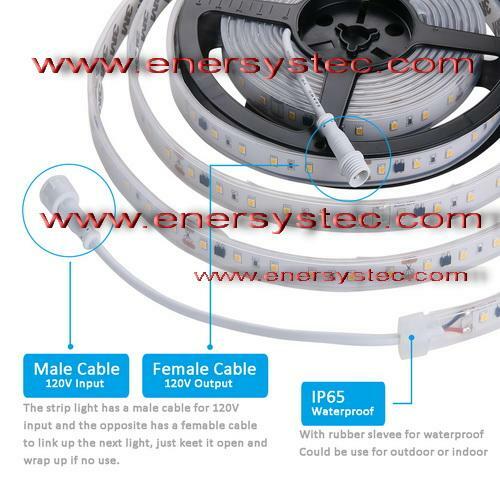 Innovated design, the strip light can work with 120VAC directly, not need external LED driver, totally new design on the market, the strip light has been put in a plastic tube for waterproof and for 120V voltage insulation that will prevent the electric shock, and the input and output cable is also using the waterproof cable, its safe and stable. 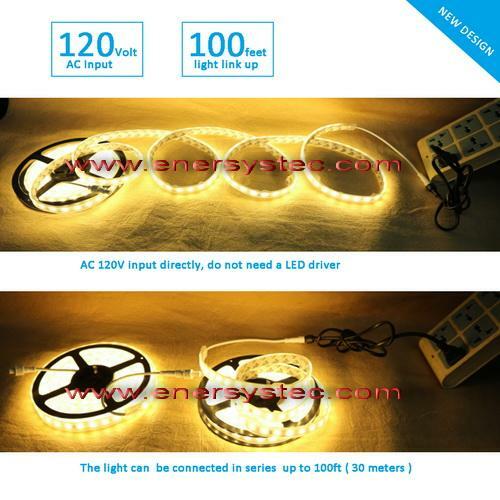 The 120V working voltage that allow the light to be connect up to 100ft ( 30 meters ) in a line without over heating. 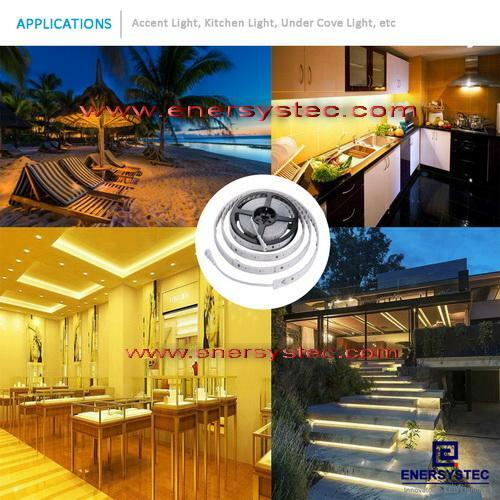 Enersystec Electric is an leading LED lighting manufacturer based in Shenzhen China, we have about 10 years experience for LED lighting design, manufacturing and exporting, we only make high quality LED lighting products and provide excellent lighting solution to our clients around the world.